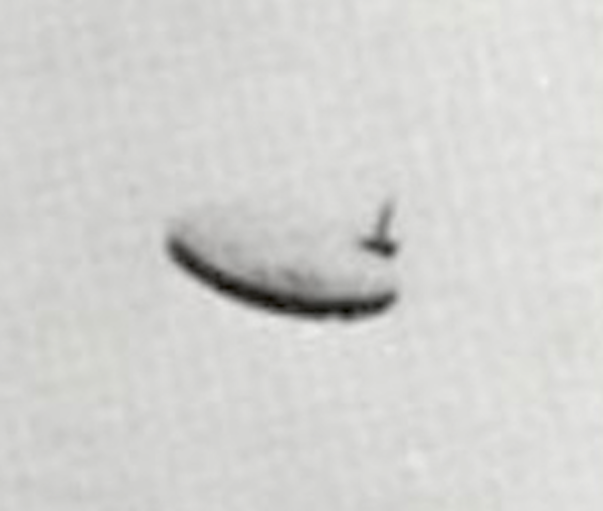 UFO SIGHTINGS DAILY: This Day In UFO History, Jan 9, 1967 UFO Photo Taken In Michigan, UFO Sighting News. 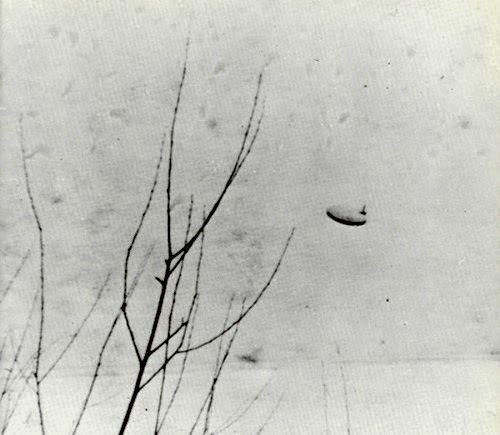 This Day In UFO History, Jan 9, 1967 UFO Photo Taken In Michigan, UFO Sighting News. On January 9, 1967, two teen-age brothers, Dan and Grant Jaroslaw, made some photos of a domed object with an apparent tower on one side over Lake St. Clair, Michigan. They photographed it from the backyard of their Mt. Clemens home, about a mile from Selfridge Air Force Base. The object was moving slowly at a very low altitude - proably too low to be picked up on radar at the Base. It remained in view about 10 minutes -- ample time for the boys to take their pictures with a small Polaroid. When they released them to a wire service, the Air Force requested the originals for analysis. Evidently the brothers were wary of lending out their original prints, for they kept them under lock and key in a bank -- but they did give the UFO officer at Selfridge a set of copies. This officer was quoted as saying they were "the best I've ever seen." Nevertheless Blue Book, seizing on the fact that they'd been denied the originals, slapped an "insufficient data" tag on the case. Dr. Hynek, however, was impressed with the photos and thought the chance of a hoax having been perpretrated was "unlikely."